The winter brings many challenges to homeowners that they don’t have to face the rest of the year, but the costliest of those challenges are frozen pipes. Harsh temperatures often cause pipes to freeze and burst, leading to flooding throughout the home. The repair and replacement process after suffering from frozen pipes is something no homeowner is prepared for, yet many still don’t know how to avoid it. Follow these simple steps to avoid frozen pipes this winter and save yourself thousands! If you’re expecting an especially cold weather front it’s a great idea to open your kitchen and bathroom cabinets around the sink. Opening the cabinets will allow extra airflow from inside the home to circulate around the pipes, keeping them too warm to freeze. If you have any children or pets inside your home be sure to move any chemicals from under the sink to a place out of reach. Having your cabinets open may be inconvenient, but frozen pipes are much worse! 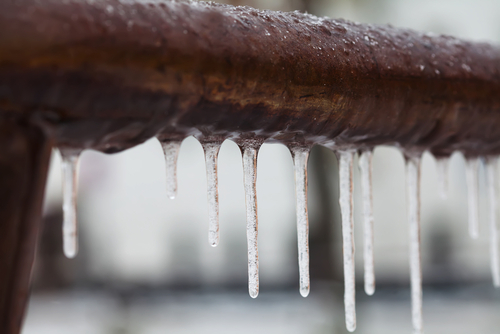 Letting water trickle through your pipes overnight will maintain enough movement to prevent freezing. Turn your cold water on to a slow trickle while the temperatures are low and turn it off once the temperatures return to normal. your pipes more susceptible to freezing, even if you only change it by a few degrees. If you’ll be away from your home be sure to leave your heat turned on to at least 55 degrees to prevent freezing and bursting pipes. insulation should be checked and replaced as needed to maintain the effectiveness. 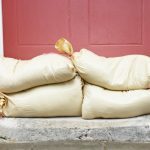 Check it at the beginning of each winter season to ensure your home is protected. Ensuring ones pipes do not rupture is a preventative measure that all homeowners should be taking when temperatures get extremely low. As stated above, frozen pipes burst which lead to water damage that can even bring on mold. Roy’s restoration has partnered with numerous plumbing companies that have the ability to replace frozen pipes in the event it occurs. For questions regarding frozen pipes and the aftermath of a pipe bursting, contact Roy’s Restoration today!